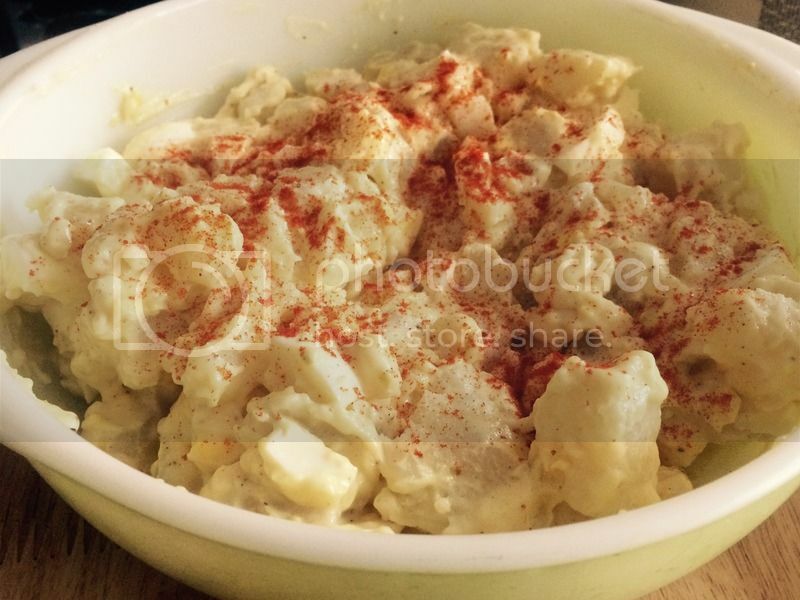 This is the first time I made the recipe of Creamy Potato Salad, because I was thinking of making it together with a homemade burger that I always keep forgetting. But not today, I finally have the time to cook it and since all ingredients are available in my kitchen, I did not hesitate to start making one around 2 in the afternoon. Since I am motivated to cook the dinner for my family, I never stop until I finished with my preparation. 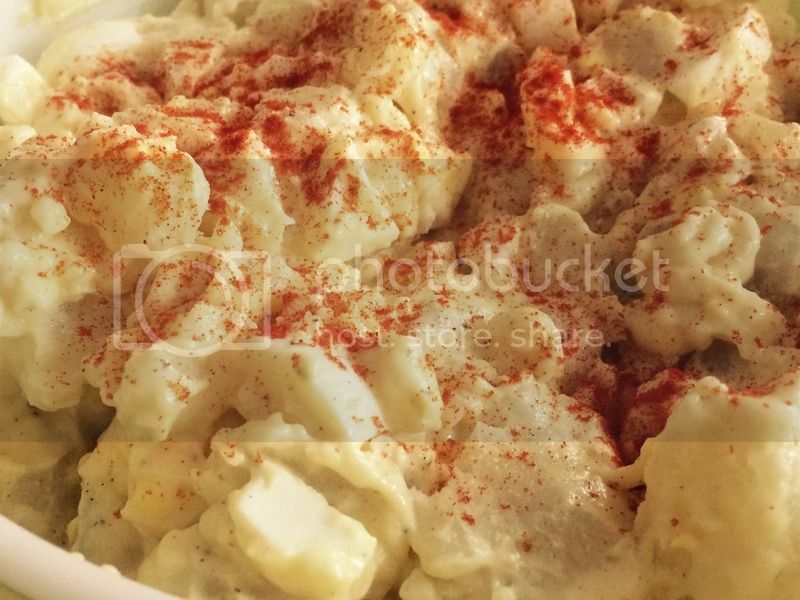 Potato Salad is very common in US, they make this food for picnics, barbecues and any kind of gatherings. It is basically like the RICE Filipinos make in each occasion. Since we don’t have any kind of activities tonight, my reason of making this food is to introduce this meal to my family to American Foods. Also, I never thought that this is one easy piece recipe I found from Betycrocker.com. 2) Mix mayonnaise, vinegar, mustard, salt and pepper in large glass or plastic bowl. 3) Add potatoes, celery and onion; toss. Stir in eggs. Sprinkle with paprika. Cover and refrigerate at least 4 hours to blend flavors and chill. Store covered in refrigerator. A summer barbecue or picnic is never complete without this famous side! Everyone has their own recipe and I'd love to give this recipe a try! I think adding paprika will give it a good kick. Paprika would be an interesting twist to a potato salad. I usually make mine with bacon bits and parmesan. I would love to try your recipe too. Thanks for sharing. I'm not really fond of potatoes, but with your Potato Salad, I'll make an exception. It looks tempting!